Using social technologies to improve business function and customer experience (“social business”) is already a complex proposition, and it is going to become more so in the near term. Today, we are in the initial stage of adoption in which most firms are still on the sidelines, so the main challenge is understanding how social business applies to the organization and developing the skills for engaging people. This is difficult because social skills are required—social skills in digital environments. However, soon the main challenge will be competition for attention, which will increase because more companies are entering the market. Let’s assume your company has had several social networking experiments going for the past year or so. Most of them were funded haphazardly, you have achieved some promising results, but you also seen that engagement takes commitment. You wonder how can you get some “enterprise leverage” working for you in your desire to scale your social business initiatives without breaking the bank. Here I’ll discuss how the SNR approach uses Web 2.0 Competency Teams, so you can apply its principles to your initiatives. Why Do You Need to Develop Social Business Competency? Web 2.0 will soon be regarded as “twenty-first century dialtone,” so it behooves organizations to develop internal competency and cultural fluency. Customers, partners, employees, investors, regulators, government and other stakeholders will increasingly expect you to use social technologies due to their efficiency and effectiveness. The Web Competency Team is tasked with collecting best practices for developing and scaling social business knowledge within organizations. By the way, the WCT does not assume that you hire numerous extra people. It is designed to help firms adopt Web 2.0 as quickly as possible by coordinating communications among initiatives. 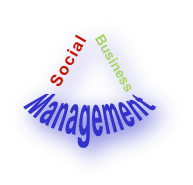 Strategic Web 2.0 Competencies (SWCs) form the cornerstone of an organization’s effectiveness with social business. They encompass competencies from current and emerging practices on social networking and Web 2.0. Currently, Web 2.0 sites and social networking are exploratory in most organizations, and most stakeholders are not familiar enough to have high expectations; however, as adoption proceeds, their expectations will increase quickly, and they will respect organizations that can communicate and relate in their preferred modes, using social sites. SWCs are a framework of explicit competencies that organizations need to learn, and the WCT is the nexus of learning and teaching within the organization. They give employees and team members a learning purpose and rationale. Given this definition, it is easy to see that SWCs are pivotal to success. The WCT manages all aspects of the enterprise’s development and sharing of SWCs. Metaphorically, its role is similar to that of an enterprise architecture team: where social business project teams’ primary focus is on meeting the business case that concerns their business units or divisions, the WCT’s main focus is developing and sharing SWCs across the enterprise. That means encouraging project teams to collaborate with each other and to reuse SWCs and artifacts from social business initiatives. A key challenge is encouraging various teams to accept practices from other teams. In addition, as is the case with enterprise architecture teams, the WCT must be diplomatic with how it encourages project teams to share with each other and to practice social networking. The WCT facilitates learning from the enteprise’s various initiatives and actively encourages sharing of information, so it shortens the learning curve significantly. The team also manages the wiki or other social space in which information is shared. In addition, most firms’ social business policy requires training before business units may launch social spaces, so the WCT creates and administers that. A space was launched to engage a defined audience (each space should have a charter that defines goals, activities, staffing, timelines and success). The targeted audience is not attracted, evidenced by lack of interactivity. The WCT benchmarks how long interactivity takes, so these metrics indicate over- or under-performance. The space launches with much support, but UGC (user generated content) is minimal within the specified period. Outreach to bloggers or tweeps (Twitter community) is not reciprocated at the benchmarked level by the expected time. Videos aren’t shared in the right number by the time expected. The idea is to identify and correct quickly; this means celebration for a team is above plan. Social business initiatives and activities are inherently decentralized and in virtual spaces, so you can use this to your advantage. Since the WCT supports the enterprise’s social business initiatives, its size depends on how many initiatives you have. Many firms task a small group of part-time employees (perhaps with a consultant for a short time) to seed it. Each business unit that launches a social space will send their employees for training, per the social business policy, so trainees become part of the WCT by default. The WCT selects the platform and designs required sharing processes that has the minimal footprint necessary, so it doesn’t become a burden. The key tenet of the WCT is knowledge dispersion: the WCT guides members on how to mentor as well as the SWCs themselves, so the business unit transfers knowledge within itself and among other BUs. The growth of WCTs often looks like a bell curve. Many teams begin virtually, and their staff grows as social business activity increases. However, they often scale back down to virtual teams as the established knowledge and practices of the social business practitioners increase. The WCT significantly improves the success rate of the organization’s social business initiatives because it explicitly focuses on recognizing and sharing good practices. Mentoring is a key lever for scaling knowledge. Each initiative has goals, staffing, metrics and timelines within its charter, so it’s easy for the WCT to compare and develop guidelines quickly. The WCT is a virtual team in the beginning; it scales with the amount of social business activity. Once good practices are well established through its “alumni,” it may well scale back to a virtual team again since alumni will manage the firm’s knowledge as a part of their core social business processes. How does your firm manage creation and sharing of good practices?